These delicate capers are the flower buds that have been harvested from the prickly shrub that grows in the Seville region of Spain, which is world wide recognized as a top quality growing region. 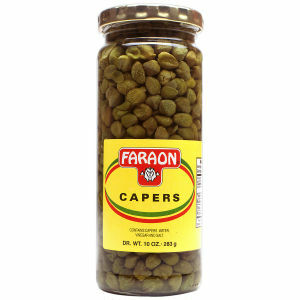 Nothing beats the taste of these Faraon Capers. These capers are great for cooking and for salads. Only the best salads get the Faraon capers.